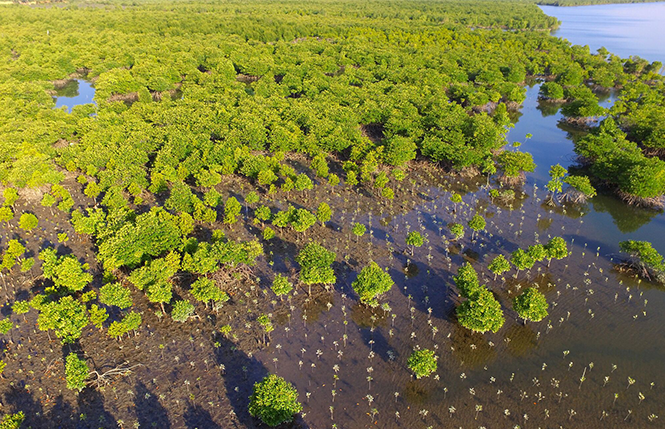 Sundt Air is a major contributor to Heyerdahl Climate Parks, where mangrove trees are being re-planted. 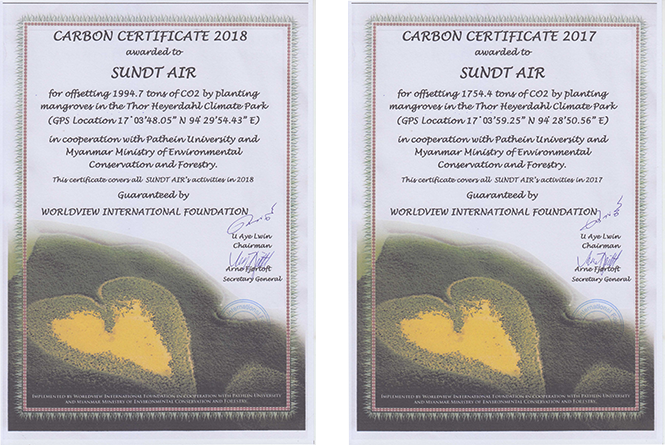 Every year, Sundt Air have been planting trees migrating the amount of CO2 that we are releasing. However this year we will contribute to the park the double of what we release! The mangrove park is located in the Ha region of Myanmar, an area where only 16% of the original mangrove forest is left due to charcoal burning and prawn farming. Through the initiative of Heyerdahl climate parks, 50% of the park area is now brought back to its former health, with 4,5 million trees planted by 2018. A total of 5 million trees is to be completed by 2020! The success of the mangrove project has led to requests from nearby communities for assistance to restore mangrove forests. The total amount of CO2 mitigation is estimated at 31 million tons. In addition, around 6 million people will directly or indirectly benefit from the projects. 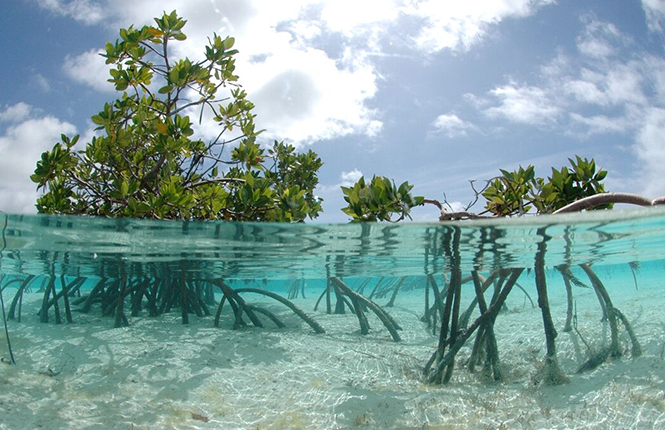 The planting of mangrove trees protects the local communities from cyclones and other extreme weather and offer new livelihoods to villages through the creation of jobs in the season. Mitigate up to five times more CO2 than other trees, and store most of it in permanently the ground! In spite of its vital role, mangrove forests are disappearing three times faster than rainforests with a critical level in many countries. It is high time to reverse this trend by increasing restoration efforts. With financial support, Myanmar has 500,000 Ha available land for restoration with capacity to mitigate over 500 million tons CO2. Sundt Air is contributing to the planting of mangrove trees threes through the involvement in Heyerdahl Climate Parks. Sundt Air has been carbon neutral for several years, and this year we will contribute to the park the double of what we release! The more we fly - the more we plant.